Duration: The duration of the programme of study will be two years and students shall complete the programme within a period of 7 years from the year of admission. Eligibility:Any Degree (except 10+2+2 pattern) or an equivalent examination. Eligibility:A pass in Pre-University / Higher Secondary Examination / Second Year Foundation / Three year Diploma/ Two year Diploma in Teacher Education Programme / I.T.I. (after passed 10th Standard) or an equivalent examination. Eligibility:A pass in Pre-University / Higher Secondary Examination / Second Year Foundation / Three year Diploma/ Two year Diploma in Teacher Education or an equivalent examination. Eligibility:Any Degree or an equivalent examination. Eligibility:Any Degree or an equivalent examination except B.Lit. Tamil. History of North India upto 643A.D. Later Medieval Indian History 1526-1707 A.D.
History of Modern Europe 1789 - 1919 A.D. Eligibility:B.Com./ BBM/ B.Com. (C.A. )/ B.B.A. /B.A. Corporate Secretaryship / B.A. Co-operation / Bachelor of Bank Management / M.B.A./B.Sc. Maths with two Commerce subjects including Accountancy. Eligibility:B.Sc. Maths Degree or an equivalent examination. Eligibility:Bachelor of Library Science/B.L.I.S. (Bachelor of Library and Information Science) or an equivalent Examination. Objective:The aim of this programme is to impart training and to develop working knowledge in computer for effective Visual and Electronic Communication. Applicants for admission to the B.Sc Visual Communication Programme must have passed the higher secondary examination or an examination accepted by the syndicate as equivalent thereto. Those who have passed the three year technical diploma examination are also eligibile for admission to the B.Sc. (Visual Communication) Programme. Objective:The aim of this programme is to develop working knowledge about computers and impart skills to use the computers effectively in developing commercial and scientific applications. Eligibility:Applicants for admission to the B.Sc. Computer Science Programme must have passed the higher secondary examination or an examination accepted by the Syndicate as equivalent thereto. Those who have passed the three year technical diploma examination are also eligible for admission to the B.Sc. (Computer Science) Programme. Objective:This programme is designed in such a way so as to impart training in the recent advancements and modern trends in the field of IT. Eligibility:Applicants for admission to the B.Sc Information technology Programme must have passed the higher secondary examination or an examination accepted by the syndicate as equivalent thereto. Those who have passed the three year technical diploma examination are also eligibile for admission to the B.Sc. (Information Technology) Programme. Eligibility:Applicants for admission to the BCA Programme must have passed the higher secondary examination or an examination accepted by the Syndicate as equivalent thereto. Those who have passed the three years technical diploma examination are also eligible for admission to the BCA Programme. This programme is designed in such a way so as to impart training in the recent advancements and modern trends in the field of IT. Eligibility:A pass in any degree or an equivalent examination. Objective:This programme is designed in such a way so as to impart training in the recent advancements and modern trends in the field of Computer Science. Eligibility:A pass in any degree (or) an equivalent examinations. This programme is designed in such a way so as to impart training in the recent advancements and modern trends in the field of Software Engineering. A pass in any degree with Maths at Higher Secondary level or equivalent. Candidates who have not studied Maths at +2 level should undergo a bridge programme for a week. Objective:The master of business administration degree programmes are designed to equip practicing executive and managers, working in private / public sector undertaking / banks / educational institutions with the skills in business management and enable them to enrich theire decision making for forward planning capabilities. Eligibility: Any Graduate (except 10+2+2 pattern). Objective:This Programme is intended to provide intensive training to develop applications for scientific, commercial and industrial uses. This is a specialised programme for graduates to become post-graduates in the field of computer applications. Eligibility:Candidates seeking admission to the first year of the three year Master of Computer Applications (MCA) programme: a)Three year Bachelor's Degree after completion of Plus 2 (or) b)Three year Bachelor's Degree after completion of three year Diploma of any recognised University. Candidates seeking admission to I year of MCA Programme and who have not studied Mathematics at +2 or at Diploma level should undergo a bridge programme for a week. Objective:This programme imparts skills in software development and gives an opportunity for any graduates to become computer professionals.. Eligibility:A Pass in BLIS/B.Sc. Library & Information Science/ MLIS/ MLS/ M.Sc. Library Information Science and Associateship in Documentation and Information Science, On-Campus and Off-Campus students who undergo BLIS/ MLIS programmes of this University. Objective:The aim of this Programme is to develop working knowledge about computers effectively commercial and scientific applications. Eligibility:10th standard or an equivalent. Eligibility:The Candidates having a Post-Graduate Diploma in Computer Application (PGDCA - One Year)/ BCA/ B.Sc (Computer Science) / B.Sc (information technology) from a recognised University. Candidates who have passed in the First year MCA (75% of the syllabus equivalent to this university) or PGDIT or any other PG Diploma in computer studies ifrom any recognised University with a minimum duration of one year. The candidates who have successfully completed Dual Degree (Computer Science/Information Technology) from Annamalai University. Eligibility:Candidates who have passed in the First and second year of MCA in any recognised University. (75% of the syllabus equivalent to this university) The candidates who have successfully completed MBA(Systems/E-Commerce/E-Business) with under graduation in BCA /B.Sc(Computer Science/ Information Technology/ Visual communication/ Computer Technology). The candidate who have successfully completed B.E. or B.Tec in CSE/ IT from any recognized university. Eligibility:The Candidates having a Post-Graduate Diploma in Computer Application (PGDCA - One Year) from a recognised University. The candidates who have successfully completed M.B.A (Systems) or PGDIT (or) I year M.Sc (Computer Science) (75% of the syllabus equivalent to this university) or any other PG Diploma in Computer studies from any recognised university with a minimum duration of one year. Eligibility:The Candidates having a Post-Graduate Diploma in Computer Application (PGDCA - One Year) from a recognised University. The candidates who have successfully completed M.B.A (Systems) or PGDIT (or) I year M.Sc (I.T) (75% of the syllabus equivalent to this university) or any other PG Diploma in Computer studies from any recognised university with a minimum duration of one year. This Programme is designed in such a way so as to impart training in the recent advancements and modern trends in the field of IT.This programme is designed in such a way so as to impart training in the recent advancements and modern trends in the field of Software Engineering. Eligibility:The Candidates having a Post-Graduate Diploma in Computer Application (PGDCA - One Year) from a recognised University. The candidates who have successfully completed M.B.A (Systems) or PGDIT (or) I year M.Sc (Software Engineering) (75% of the syllabus equivalent to this university) or any other PG Diploma in Computer studies from any recognised university with a minimum duration of one year. Duration: The candidates seeking admission to the II year of the above programme should have successfully completed the I year of study from any recognized University in the same discipline with at least 75% of syllabi common to this University or The candidates who have completed 3 year Diploma after 10th Standard. Eligibility:The candidates seeking admission to the III year of the above programme should have successfully completed the I & II year of study from any recognized University in the same discipline with at least 75% of syllabi common to this University. Eligibility:The candidates seeking admission to the II year of the above programme should have successfully completed the I year of study from any recognized University in the same discipline with at least 75% of syllabi common to this University or The candidates who have completed 3 year Diploma after 10th Standard. 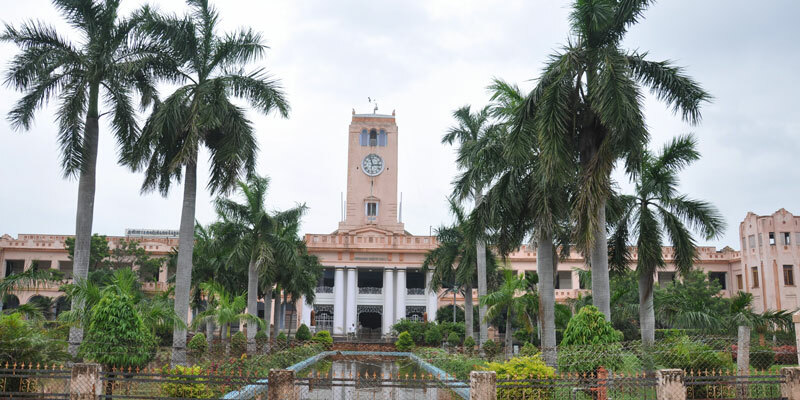 Annamalai University, established in 1929, by The Annamalai University Act, 1929, is the only unitary, residential, multi-faculty University in the State of Tamil Nadu with 10 Faculties and 49 Departments of Study. Recently, the Government of Tamil Nadu enacted The Annamalai University Act -2013, to bring the University under its direct ambit. The University, for the past 87 years, has crossed noteworthy milestones in the process of contributing to the cause of promoting higher education among the people for whom it would have remained a distant dream. 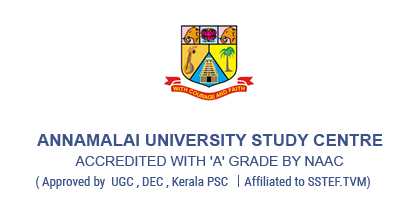 The NAAC has accredited the University with 'A' Grade in 2014, which is a recent feather added to its cap. Annamalai University offers various IT related UG,PG, Diploma and Lateral Entry programmes. Annamalai University Courses in Management, UG/PG Under TWINNING programme.